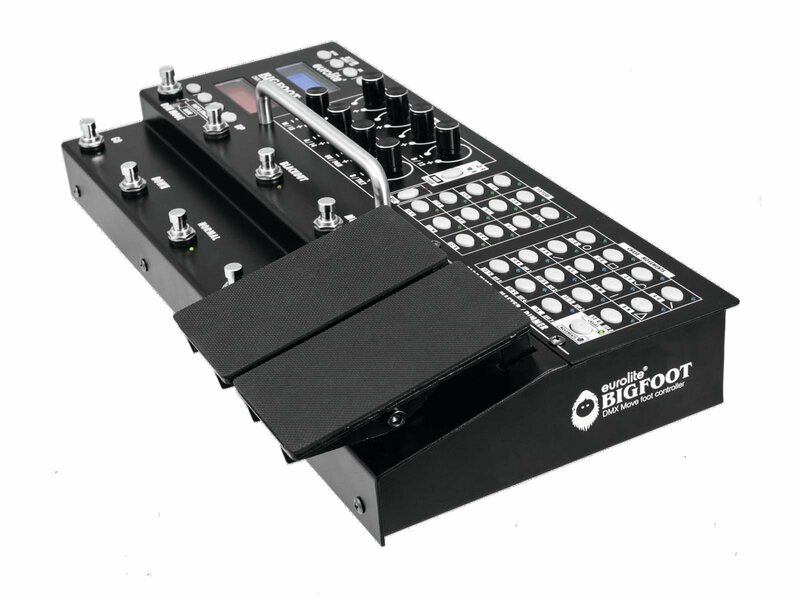 Control your light with a foot controller as precisely as never before: With the Bogfoot, you'll work in a more flexible way than with any other device. 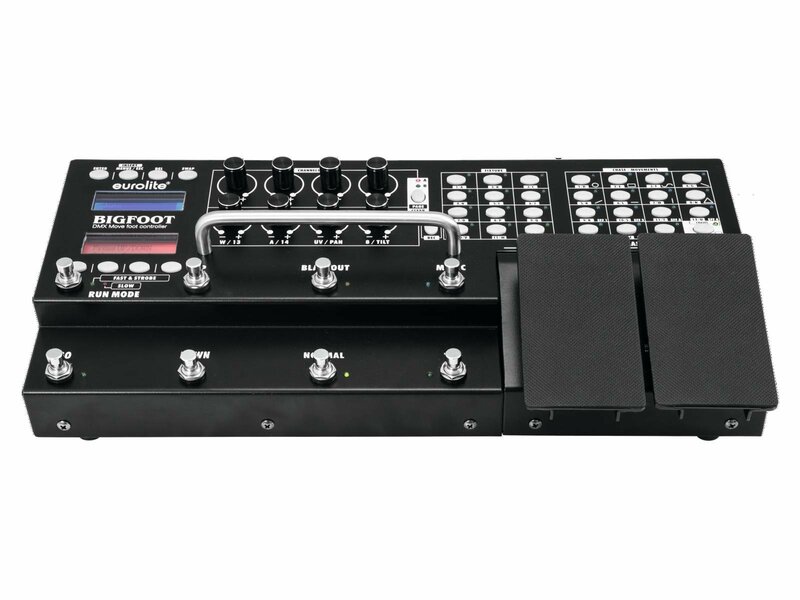 It is a full-flegded controller – packed in a foot bar. 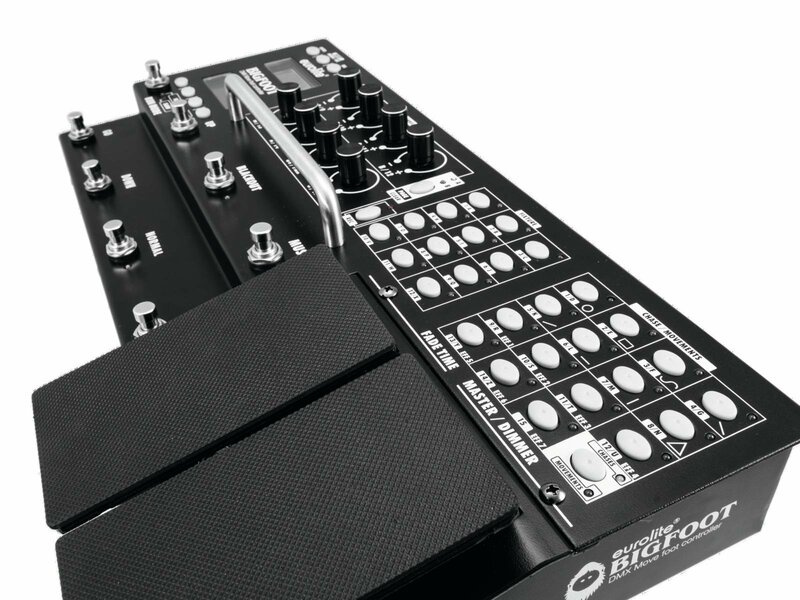 Until now, you could only play scenes which have been programmed on the bar by the producer with a foot controller. 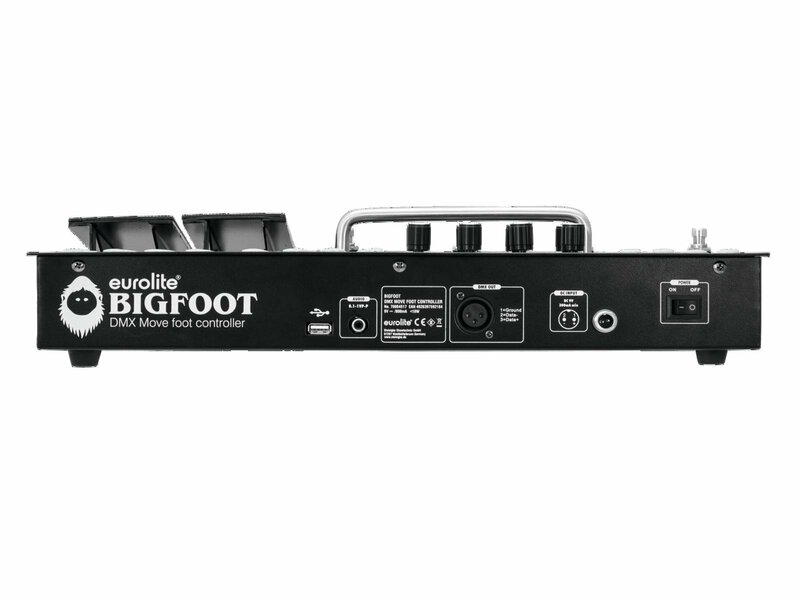 Now, you'll be much more flexible: Control a real light show with your feet! 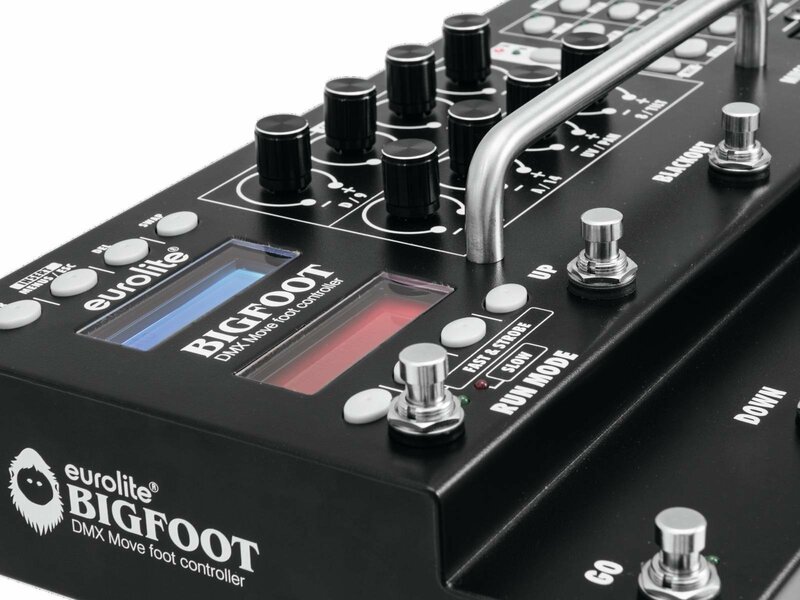 Your Bigfoot controls simple PAR spots just as well as moving heads or complex effect devices. Even pre-programmed movements and color effects can be integrated in your show. 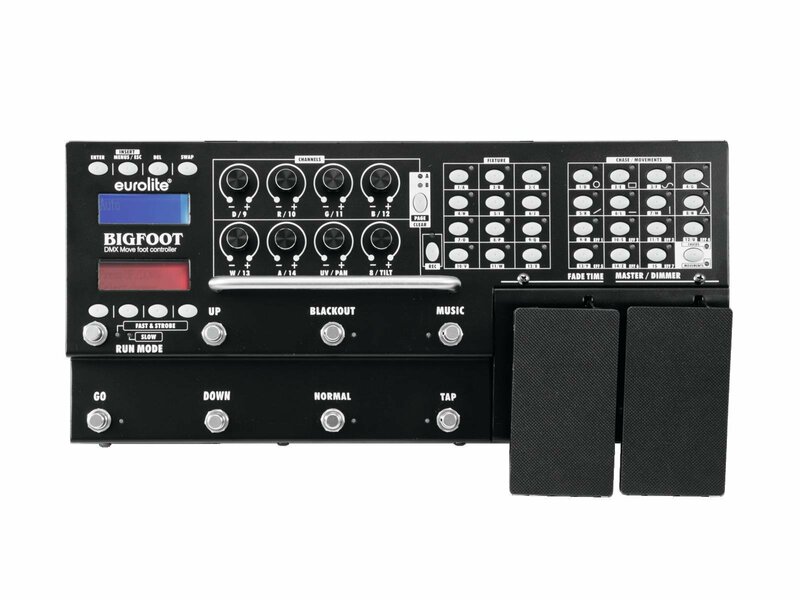 You can control 12 devices with 16 DMX channels each – and create up to 15 programmable chases. Which scene is running at the moment? A quick glaze at the lower display helps you. It is lit up in red and important for live operation. The upper display, which is lit up in blue, is used for programming. Control brightness and fading via two big pedals on the bar. This way, you can work more intuitively and carefully than with the conventional buttons: More gentle fading is possible. 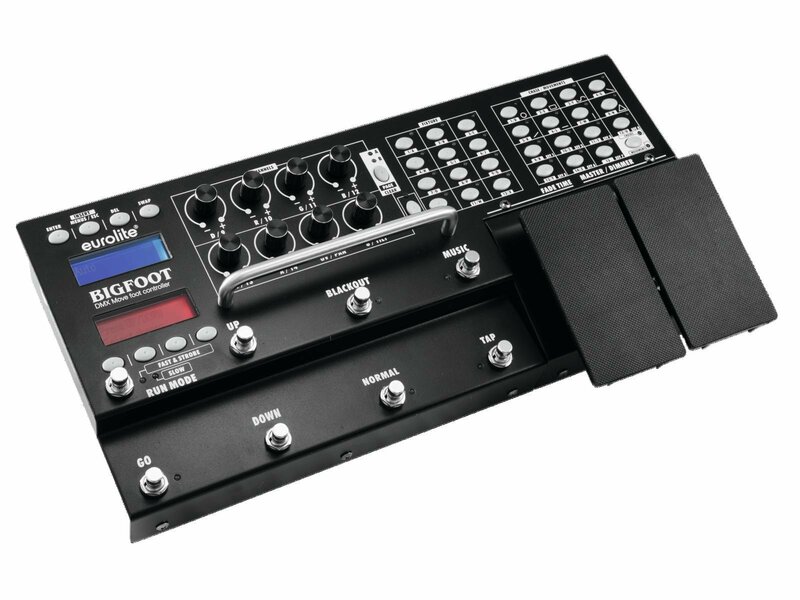 A big drawback of foot controllers has been the program selection until now. Usually, you had to go through the list of programs – and each program would start immediately. 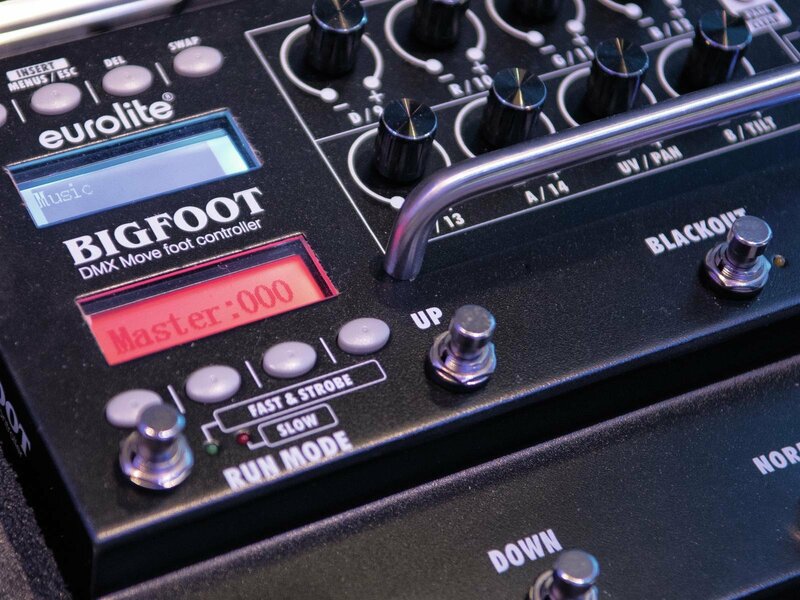 Bigfoot lets you pre-select the program. And the program will then only be started when you press the GO button. So you can select the next program unhurriedly. With your brightness control, you don't neccesarily need to control the whole light set. You can adjust the system just as you like it. Choose only the front light, the blinders or a strobe for example, while the moving heads still draw their bright circles irrespectively of the dimmer. Provide a better overview by naming all chases individually. Let the rhythm of the light movement be controlled by sound or set it via Tap button. 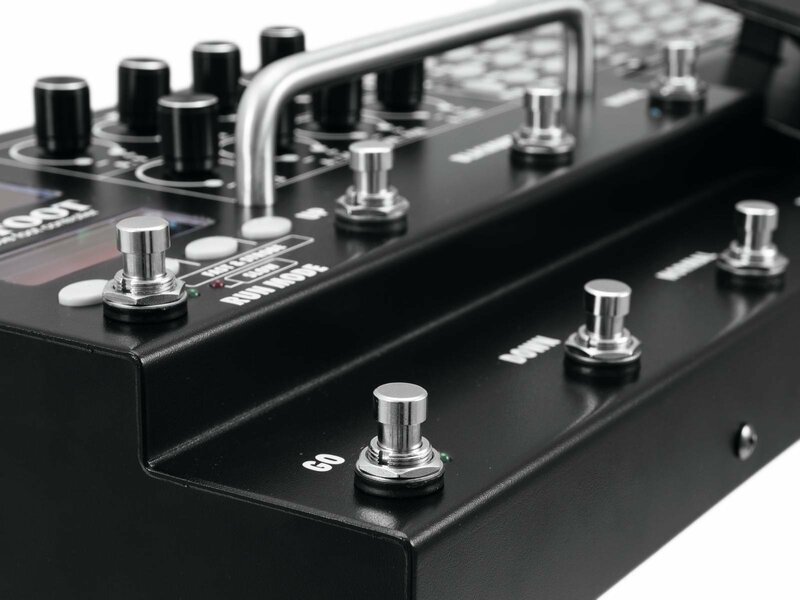 Just tap the button twice in the rhythm you want and the system will adapt the beat. Double the speed or slow it down with the simple push of a button, when neccessary. A foot controller must be able to stand heavy usage. 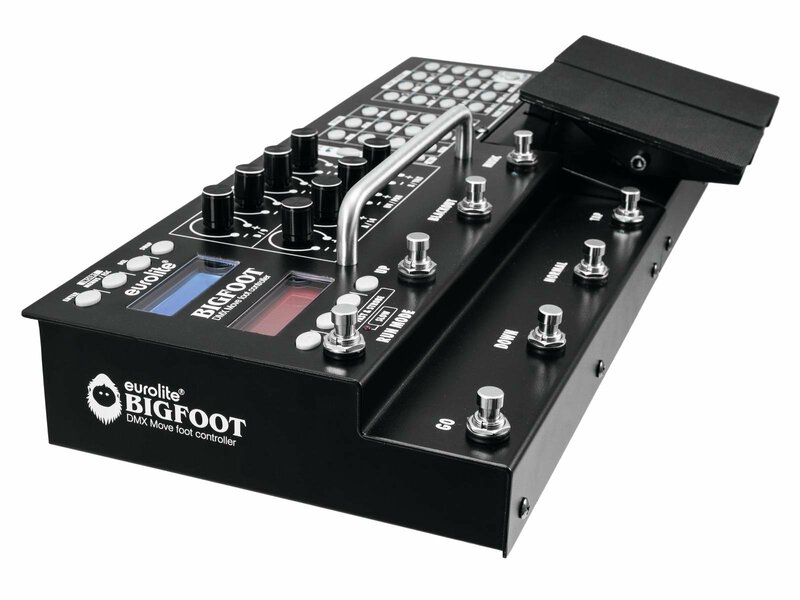 That's no problem for Bigfoot: All used materials are of extremly durable material. The housing is made of solid metal. 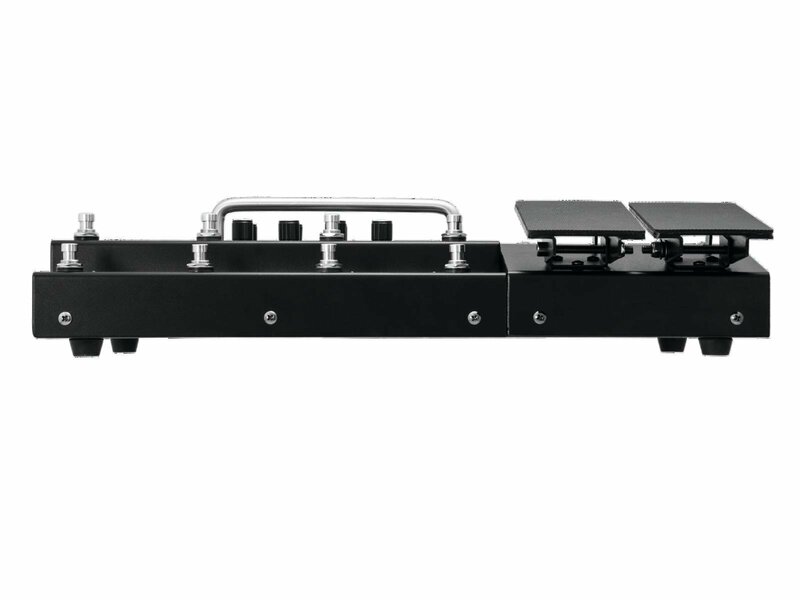 The big handle not only makes it easier for you to carry the device, it also protects the potentiometers from too many foot prints.